A mammoth asteroid, measuring more than one mile in diameter will have its closest approach with earth on the wee hours of December 22, 2018, NASA has warned. 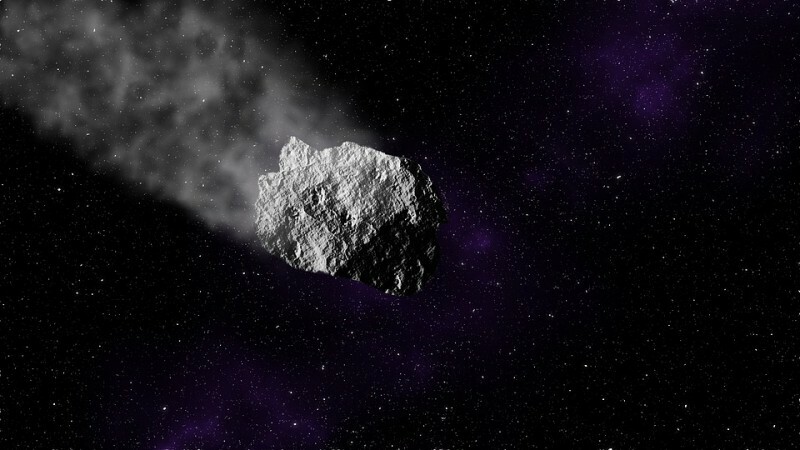 At its closest approach, the space rock dubbed 'Asteroid 2003 SD220' will skim past earth within 0.01890 astronomical units (AU) or 1.7 million miles. It should be noted that one astronomical unit is equal to about 92.95 million miles, which is basically the distance between the earth and the sun. As per NASA, any space bodies on an orbital path around the sun of 1.3 astronomical unit can be considered a Near Earth Object (NEO), and it makes Asteroid 2003 SD220 fall in this category. A distance of 1.7 million miles will be too huge in human terms but considering the vastness of the universe, this distance is very short in astronomical terms. "NEOs can occasionally approach close to Earth. Note that a "close" passage astronomically can be very far away in human terms: millions or even tens of millions of kilometers," says NASA. Even though the possibilities of this space body hitting our planet is very meager, some conspiracy theorists believe that a potential collision due to the change in trajectory with a gigantic space body like this will bring about devastating aftermath on earth. Some of these conspiracy theorists even allege that the increased approach of asteroids towards the earth is signaling the arrival of Nibiru, the alleged killer planet that might be lurking at the edge of our solar system. A few days back, Iain McDonald, a top scientist at the NASA had revealed that earth will be hit by a doomsday asteroid one day or the other. As per McDonald, earth's collision with a rogue space entity is just a matter of time, and if it happens, it will bring about devastation all across the globe. He also claimed that doomsday events like asteroid hits have happened in the past, and similar events will occur in the future too.